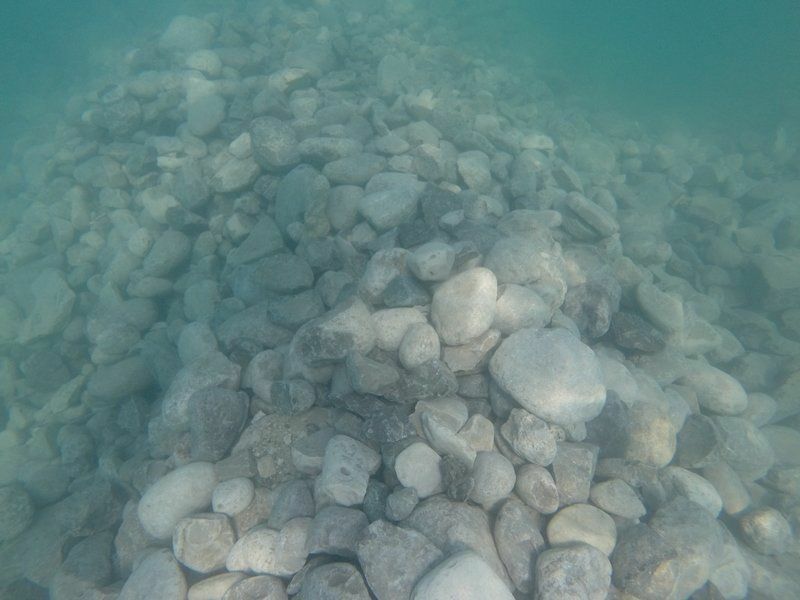 The solution to a rocky problem off Elk Rapids’ shores — deteriorating spawning grounds for lake trout, cisco and whitefish — was hundreds of tons of limestone. According to Dale Ealy, owner of the Elk Rapids-based Ultimate Charter Fishing the proof is on the lines and in his coolers. Ealy says, "It’s been unbelievable — the cisco is fantastic since they dropped that limestone out front, tons of cisco — nice, big cisco." The 2015 restoration, a collaboration between the Department of Natural Resources, U.S. Fish and Wildlife, Central Michigan University researchers and The Nature Conservancy, rebuilt rock cover along the damaged spawning grounds, once a favorite spot for native fish. DNR’s Randy Claramunt claims that it brought egg survival up dramatically. He is hoping for similar results this summer with a large-scale restoration of the Saginaw Bay. Lake Michigan boasts about eight human-created or repaired reefs. Work on two more in Saginaw Bay, using Elk Rapids strategies, starts this year, Claramunt said.